Opening hours: Shops open from 9/10 am to 2 pm, and from 5/5.30 pm-8/8.30 pm. Banks are open Monday to Saturday, 8.30 am-2.30 pm. Santander is a city favoured by Spanish holidaymakers - the abundance of beautiful sandy beaches, natural parks, and dramatic cliffs in the vicinity are its undeniable draws, and so is the relatively lively nightlife and curious museums (one that certainly deserves attention is the Cantabrian Prehistory and Archaeology museum). 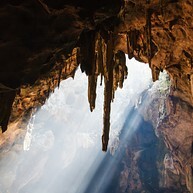 For a day-trip out of town, head to the scenic village of Santanilla del Mar or the prehistoric caves at Puente Viesgo. The well-maintained Magdalena Peninsula is the city's most attractive area for a pleasant walk, enjoying the views over Santander's two scenic bays, and taking some memorable photographs. The Magdalena Castle is located here, too. There is a small animal corner with live seals and penguins. This yacht club on the Playa de la Magdalena beach offers a wealth of water sports for the active beach-goer, including windsurfing, surfing, sailing, water-skiing and canoeing. Courses in multiple water sporting activities are offered to beginners (from body board to kayaking). Check out the magnificent caves at Puente Viesgo (24 kilometres from Santander), where stalactites and stalagmites stretch among incredible prehistoric paintings. The village itself is also worth a look around. Tours start at the visitor centre 1.5 kilometres above the village. 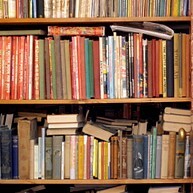 The impressive collection contains 41,500 volumes gifted to the town by writer and thinker Menéndez Pelayo. The building right behind the historic (early 20th century) library used to be the former home of this celebrated scholar; it reportedly once came very close to being accidentally burned down. With exhibits ranging from model boats to fish skeletons and sixteen aquariums, this is a superb museum themed around everything nautical that details various aspects of the city's maritime history. Look out for the two-headed sardine and the famous 60-ton whale skeleton. This one-kilometre loang boardwalk stretches from the Estación Marítima (Ferry Station) to Puerto Chico, and features several points of interest including the Palacete de Embardadero and sculptures of the raqueros – children who used to dive naked into the sea to gather coins thrown by passers-by. The beach across the bay from Santander is much-loved for its soft sand and relative tranquillity. There is a surf school on the beach, too (Escuela Cantabra de Surf, Calle Isla De Mouro, 12). The best way to get there is by regular boat service run by Los Reginas on the Paseo Marítimo. 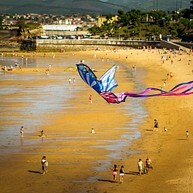 This beach is the largest and most popular in Santander. It is divided into three parts: the Playa de la Concha to the south, the Primera Playa, and the Segunda Playa to the north. A short walk from the Segunda Playa is Cabo Mayor lighthouse, which perches on picturesque, towering cliffs. 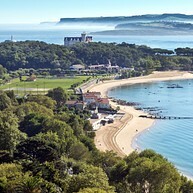 Enjoy a day trip to this sensationally pretty nearby village 26 kilometres west of Santander. 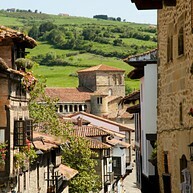 Santillana del Mar is a historic Spanish town with some interesting architectural treasures. To get there, take one of the Autobuses La Cantabria buses from the main bus station in Santander. This museum of modern and contemporary art features works by Goya, including his portrait of Fernando VII, and Zurbarán, as well as lesser-known modern pieces. There are more than 225 pieces including paintings, sculptures, photographs, drawings, prints, video creations and sound art. This Gothic building was restored after the 1941 fire and now welcomes visitors to its renovated interior. Relics contained inside include the skulls of Santander’s patron saints. The legendary local writer Menéndez Pelayo’s tomb is also one of those inside. This extensive natural park is home to animals such as brown bears, elephants, tigers, gorillas and lions (to name a few). It is a beautiful area and the park is huge so visitors usually drive between the animal enclosures. There are also some restaurants and cafés around the park. Discover Santander from an open-top bus. Hop on and hop off at your favourite points along the route to make the most of your experience. The entire journey takes about 60 minutes (or as long as you choose to make it). The starting point is by Rotonda Hotel Bahia. 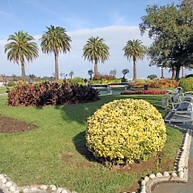 Stroll around this garden park located between two beautiful beaches in Santander. Here you can admire the views over the Cantabric Sea. Beside tree-lined alleys and flowers there are lots of play areas for children and well-maintained, lush green lawns. Take a lovely walk by the harbour and watch local fishermen arrive with the catch of the day. There are some good value bars, restaurants and cafés in this area. 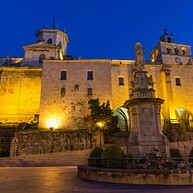 Many locals of Santander come here on the weekends for a meal or an evening stroll in good company. 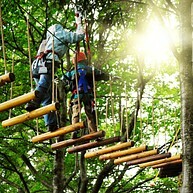 Forestal Park is an adventure park with fun outdoor activities, located in a pretty setting in the woods. Here you can slide down 220 metre-long zip line, cross some rope bridges and walkways, and simply enjoy an active day outdoors with pursuits available for the whole family.